Sunset Park Athletic Complex is a 37.9 acre sports complex located at 655 Sunset Road. 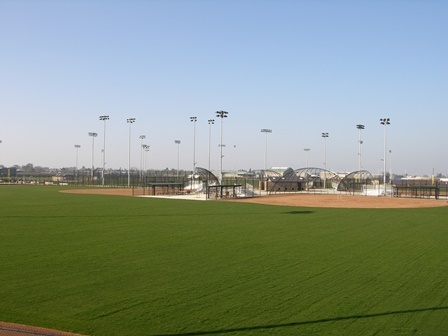 The complex offers six lighted softball/baseball fields that can accommodate base paths of up to 70 feet on four fields, 80 feet on two, and 90 feet on one of the six fields. The ball field all feature spectator bleachers for “home and visitor” spectators. Play and grass areas are available, as well as, a two restrooms, concession buildings, picnic tables and barbeques. Four lighted soccer fields are available in a variety of configurations with the largest size at 70 yards by 110 yards.